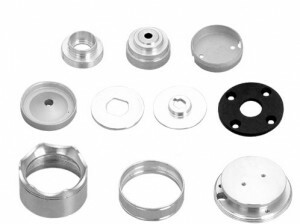 We are a professional manufacturer which can provide you with various techniques of machining parts strictly according to your drawings or specific requirements. -Surface treatment: painting, anodizing, sandblasting, chrome plating, oil paiting, printing logo. 2.Engineer spot check in production. 4.International sales who were trained the technical know-how spot check before shipping to ensure the quality. -Delivery time:According to your requested quantity, we guarantee timely delivery. -. MOQ:1~10000pcs, Send us design drawings or sample with detailed specification then we can provide you the accurate price immediately. Maximum table size of 1000 x 600 mm with controllable tolerance of 0.008 mm. Controllable tolerance of 0.010 mm. Controllable tolerance of 0.002 mm. Controllable tolerance of 0.005 mm.